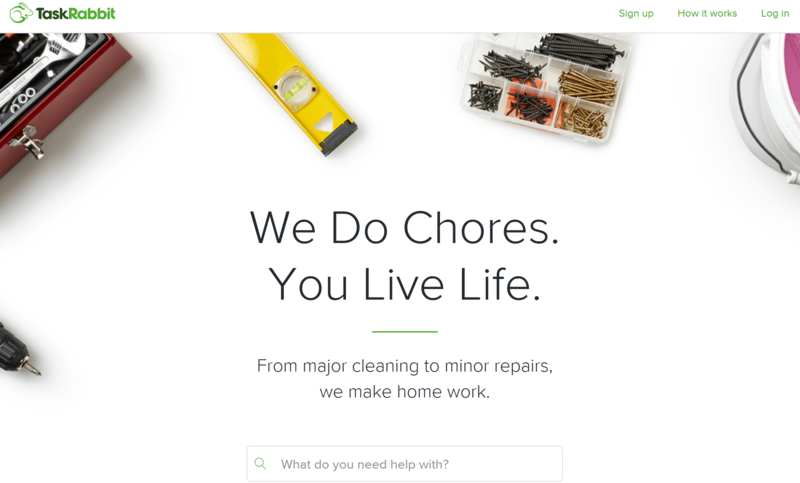 Home » Smart Life » Home & Garden » TaskRabbit Review – How Does TaskRabbit Work? Finding quality help these days can be hard. You’re often required to scan through pages and pages of local directories, while spending time analyzing who would be a good fit. Then when the professional doesn’t live up to your expectations, all of this hard work goes out the window. You don’t have to worry about this as much when you use TaskRabbit, a mobile marketplace that allows users to find freelance professionals to complete specific tasks. If you’re thinking about using this service, here is a breakdown of everything you can expect to experience as a user. Using TaskRabbit is relatively simple, no matter what type of tasks you’re looking to have completed around the house. First, you create a profile and fill in some basic information. You’ll then be directed to a platform that lets you describe the task you’re looking for. You can thus narrow down your search results, to save much-needed time and energy. The taskers that show up are fully vetted to match exactly what you’re looking for. This is paramount for being satisfied once the task is complete. You’ll then get the chance to schedule an appointment, where you indicate a time and place to meet. TaskRabbit takes a lot of the guesswork out of the search process, allowing you to focus on the more important things in your life. Even when you hire professionals to do work on your property, mistakes can sometimes happen. A wall may get damaged or a fragile item may get broken, for example. You don’t have to worry about these damages with TaskRabbit, however, as it offers a TaskRabbit Happiness Pledge. It certifies that each task is covered up to $1,000,000 in property damage. You’ll have a peace of mind throughout any task, no matter how simple or complex it is. This pledge also guarantees that every tasker that enters the system goes through an extensive background and identify check. You can rest assured your tasker is who they say they are, and are truly capable of completing the services they’re offering. Finding quality professionals for a particular chore or task may seem like a long, drawn-out process. 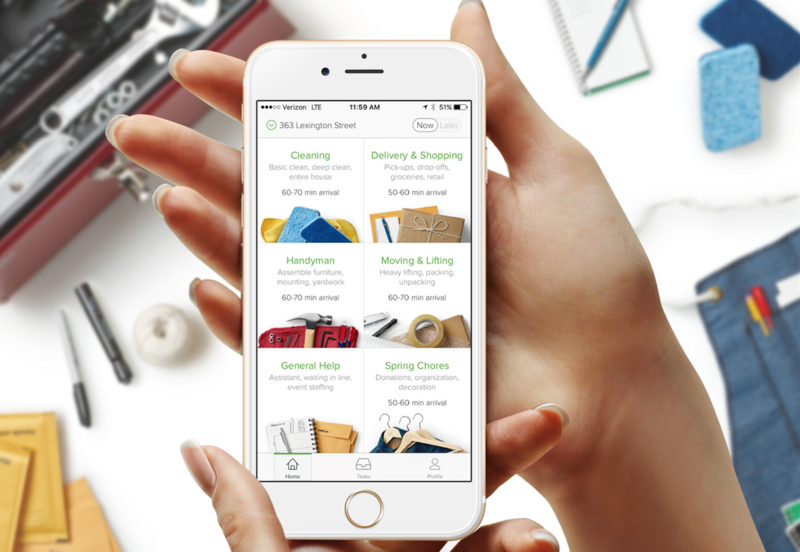 It doesn’t have to be if you use TaskRabbit’s mobile app – which streamlines this entire process. You can quickly scan through each tasker’s profile from your app, any time. You’ll also be able to manage and edit your tasks. For example, you may realize that you need to reschedule an appointment because something may have happened that adjusted your schedule. Making these changes is possible on the go, so you can rest assured you and the tasker are always on the same page. You’ll never have to worry about professionals showing up late or to the wrong location ever again. 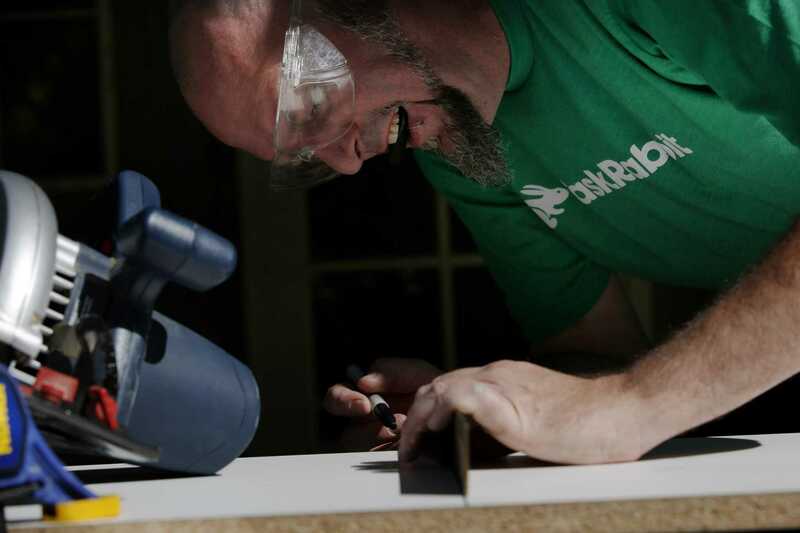 For the more complex jobs, including home repair, taskers show the recommended certifications. This lets you know right away that the professional knows what they are doing and received the proper education. Simple jobs, such as picking up leaves, will also be carried out exactly how you want them to. There’s even a search bar at the top that you can use, in case you don’t see a particular task that has been listed. Whatever task you’re wanting done, you have the chance to enter a full description. You can specify exactly what the job entails, so that the tasker can bring the appropriate tools and be prepared well in advance. This ensures the job is completed safely and correctly, the first time. When you receive an invoice from the tasker you hired, you have the option to leave them a tip. Although this is not a requirement, it does look good on your end because it shows you appreciate their service and hard work. Now, this doesn’t mean you should offer tip to just any tasker that completes their task. Obviously, you want their work to be professional and as promised. Make sure their task was completed on time and was of the highest quality. You can leave tip in a variety of ways, including on TaskRabbit’s website or mobile app. Tipping percentages are usually calculated by the number of hours worked by the tasker. If you forget to tip the tasker, that’s perfectly okay because you’ll have a 24-hour window to still do so. To learn a little bit more about the professional you might be getting help from, you can communicate via an online chat platform. It’s imperative that you use this feature not only to introduce yourself, but to learn a little bit more about what the tasker specializes in. You can ask them specific questions that they should know if they truly are qualified. If at any time you feel like the tasker is not up to your standards or doesn’t seem to be like the ideal fit, you can always back out before committing to an appointment. Getting these chats started is extremely easy. All you have to do is log into your account and click on the tasker’s profile. Then, you simply click on the chat tool and start providing the necessary details. Be sure to use this time to get scheduling details out of the way – specifying exactly when they need to arrive and where your house or apartment is located. You also have the option to talk directly to taskers through the phone. This may be ideal if you want a more personal experience, or if you have more in-depth questions that you want answers to. Since you’re hiring freelance professionals to work inside or around your home, you need to exercise extreme caution. TaskRabbit helps inspire confidence by giving you access to a review directory. You can use this resource any time to see what other clients have said about a particular tasker. Take this time to gather a consensus of what people think about the taskers you’re thinking about hiring. Positive reviews are great, but the majority of your time should be spent looking over any negative experiences. You can then learn from previous clients’ mistakes – saving you time, money, and potentially costly repairs. If you keep coming across negative reviews for a particular tasker, obviously this is a clear indication that they’re doing something wrong. They may show up late regularly or fail to complete a task exactly as it was assigned. In this case, you should move on to the next tasker as a precaution. There will be times when you need something done to your home quickly, such as an emergency repair or a clean-up before guests arrive. 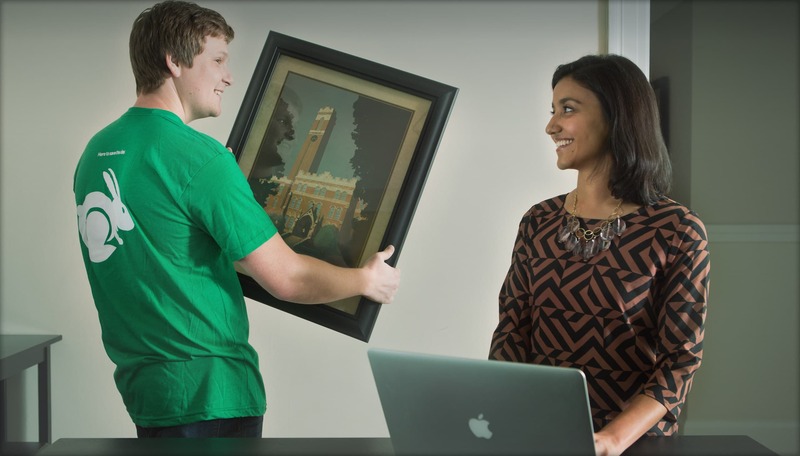 TaskRabbit can provide quick tasks through their Quick Assign feature. It provides same-day assistance – so that the more important issues can be dealt with as soon as possible. Using this feature, you will have access to taskers who’re currently available to work in your area. You can then chat with them to see which one has a schedule that works perfectly with yours. If you search for taskers and none are available within a two-hour window, you won’t be charged. You can then initiate a two-hour quick search. IKEA is the world’s largest furniture retailer and is extremely popular with consumers today, as they have a wide variety of items at an affordable price. However, putting these items together is a different story. For many, they simply don’t have time to fiddle with the different pieces and in-depth instructions. That’s why TaskRabbit introduced their IKEA Assembly Program – for users just like yourself who get frustrated when putting furniture pieces or décor together. You can book a tasker from the IKEA store directly after you check out, or you can use the app and online platform. Pricing for these assembly projects is based on the number of hours it takes the tasker to complete the assembly. Obviously the larger the pieces, the more money you could potentially spend. At least you won’t have to worry about breaking fragile pieces or installing parts the wrong way. If your IKEA piece does not arrive before the designated task appointment, you can always reschedule. You will not be charged for an additional appointment, since there was nothing you could have done. If your task requires help from more than one person, you have the option of hiring additional taskers. You’ll just need to submit a new request through the app or online site, to ensure the invoices are separate. Multiple taskers come in handy for the more demanding and larger projects, such as moving. You’ll have additional help and can rest assured the job is completely safely and on time. Gone are the days of spending hours looking for professional and convenient help, thanks to sites like TaskRabbit. These task directories are transforming the way you get assistance – ultimately saving you time and money. Just be sure to look through the terms and conditions, and take your time finding taskers that are qualified and offer a competitive rate that you’re comfortable paying. Survey Junkie Review: How Does Survey Junkie Work?